Antique object from the Bali before 1950. These ricebeaters were used after the harvest to flatten the top surface of a bundle rice arens. The use of these ricebeaters stopped when new types of rice were introduced in Bali around 1970. 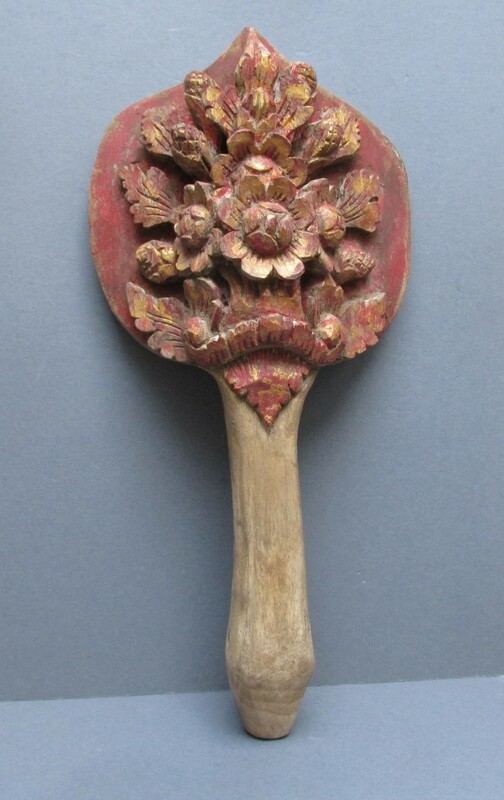 This ricebeater has a flower pattern as decoration and the handle is carved in the shape of a turtle. Folk art! Pls click on the photo for more photos and info.